Romeo and Juliet, directed by Downton Abbey’s Julian Fellowes, reviewed. Don’t bite your thumb at it. 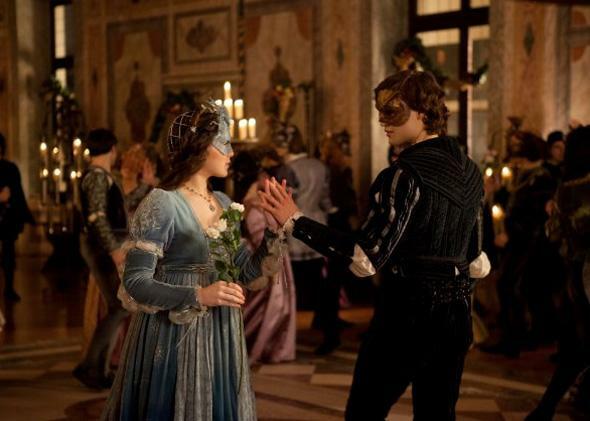 Hailee Steinfeld and Douglas Booth in Romeo and Juliet. Courtesy R & J Releasing, Ltd.
Carlo Carlei’s Romeo and Juliet—a lush, conventional bodice-ripper of an adaptation with a screenplay (by Downton Abbey’s Julian Fellowes) that borrows heavily from Shakespeare without quite being Shakespeare—feels like a quaint throwback to an earlier era in which a little-known director could just up and film a Shakespeare play, without big stars or a modern interpretive concept. I’m not sure how appealing this movie will be to the teen and young adult audience at which it seems to be aimed: Kids brought up on the cosmic battles and forbidden passions of Twilight and Harry Potter may find the thwarted longings of the youth of medieval Verona too wanly special-effects-free to hold their interest even for its slim 118-minute running time. Still, there are reasons to see this Romeo and Juliet—it’s just a shame that Romeo and Juliet are not chief among them. Romeo fares even worse—he’s played by the model-handsome Douglas Booth, whose magazine-ready looks and polished, slightly stagey manner don’t match Steinfeld’s more natural style. Though these two actors slightly resemble Olivia Hussey and Leonard Whiting, who played the young lovers in Zeffirelli’s 1968 Romeo and Juliet, they have nowhere near the chemistry those performers shared. When the lovers speak that shared sonnet at the masked dance where they meet—“If I profane with my unworthiest hand,” etc.—we should be almost swooning for them to lean in and kiss after the final rhyme. Instead, the fatal smooch almost seems to come before we’re ready for it—maybe because the sonnet as it appears here isn’t quite a sonnet, but a chopped-up mélange of Shakespeare quotes and Fellowes paraphrases that does no favors to the latter writer. One element of Romeo and Juliet that this interpretation does take literally is its setting, described in the prologue as “fair Verona, where we lay our scene.” The film was shot in Verona, Mantua and a few other medieval Italian towns, and the locations are gorgeous: Every scene seems to take place in a different fresco-adorned palace or pristinely preserved church. (In a strange conceit, Romeo is an amateur sculptor and often receives friends while standing in an airy room full of half-carved marble busts.) If you get bored with the familiar travails of the characters in the foreground, you can always focus on what’s happening with the painted angels, monks, and saints who crowd the walls behind them. There’s also some fun minor star-spotting to be done in the smaller roles. 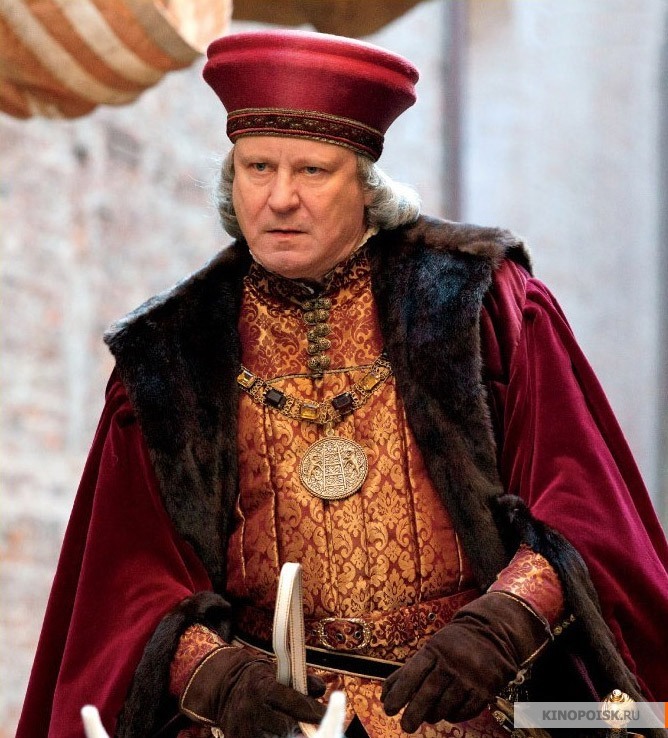 Stellan Skarsgård gets his Paul Scofield on as the Duke of Verona, sternly admonishing the squabbling Capulets and Montagues from under an awesome hat. Damian Lewis glares and growls and all but rubs his hands together with evil glee as Juliet’s martinet of a father (rendered, in this unsubtle version, as a borderline child abuser). Kodi Smit-McPhee, a 17-year-old Australian actor who was memorable as Viggo Mortenson’s son in the phenomenally depressing Cormac McCarthy adaptation The Road, stands out as Romeo’s loyal cousin Benvolio, whose efforts to make peace only tighten the knot of doom. And Lesley Manville, a favorite actress of Mike Leigh’s, shines in the role of Juliet’s chatty, adoring nurse. But it’s Paul Giamatti who unexpectedly steals the show as Friar Lawrence, who in this curiously focused adaptation emerges almost as the hero of the story. The lovers—and the audience—log some serious time with this wry, skeptical man of the cloth as he potters among his cloister-garden herbs (one of which will later help Juliet fake her own death), and by the time they meet their final fate in that grim charnel house, it’s the Friar’s horrified reaction that channels our own. “Go forth, and have more talk of these sad things,” urges an unseen narrator in the closing epilogue. I’m not sure this minor adaptation can count on that kind of word of mouth, but the source material should survive until the next round.